Robert Sher - Joelle Delbourgo Associates, Inc. Some people call him a CEO coach. Some call him a CEO mentor. Some see him as their own “Chairman of the Board”. Robert Sher is founding principal of CEO to CEO, a consulting firm of former chief executives that improves the leadership infrastructure of midsized companies seeking to accelerate their performance. Sher was a founder and the CEO of The Bentley Publishing Group, a company he grew from its small beginnings to midsize over the course of two decades. In 2007, Sher founded CEO to CEO, a consulting firm coaching more than 80 midsized company CEOs and their management teams, helping them to identify growth killers, and facilitate the expansion of their companies. Robert Sher has published extensively on the successful leadership traits of CEOs of mid-market companies. His newest book, MIGHTY MIDSIZED COMPANIES: How Leaders Overcome 7 Silent Growth Killers (Bibliomotion, September 2014), focuses on the specific hindrances to growth faced by midsize companies. -sized company. Since 2011, he’s been researching the vulnerabilities of the middle market and has interviewed over 100 middle market executives (most of whom are not his clients). 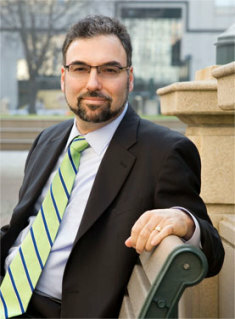 Sher began writing about these issues as a columnist at Forbes.com in early 2012, the publication’s only contributor focused on the management challenges of mid-market companies. More recently, Sher was asked by CFO magazine to write a regular column in its online edition for mid-market chief financial officers, and to author a 7-part series for Harvard Business Review online.For more about Robert Sher, and to book Sher to speak, go to www.ceotoceo.biz.